Is Fibromyalgia Linked To Changes In Brain Molecule? 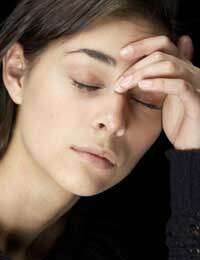 Home > Facts > Is Fibromyalgia Linked To Changes In Brain Molecule? Recent studies into how Fibromyalgia is affected by - and indeed affects the brain -has shown that there are abnormalities in the release of hormones, metabolic rates and also chemical activity in the brain. These studies would appear to indicate that these factors are contributing factors as to how the pain and stress of Fibromyalgia manifest themselves within the brain of the sufferer. One distinct indication that there are changes happening within the brain relating to the release of chemicals and chemical activity are headaches. Many sufferers of Fibromyalgia find that they are more susceptible to so-called 'stress headaches' and indeed Migraine than they were before they contracted the condition. So-called 'cluster headaches' (headaches which happen in batches of more than two or three) can be the first sign of a change within the mid brain region. The Hypothalamus gland is directly attached to the pituitary gland and abnormalities caused by Fibromyalgia can cause these two glands to work incorrectly and sometimes against each other. The Hypothalamus gland's main purpose is to regulate body temperature, heart beat, blood pressure, blood sugar levels and also metabolism; all of which are factors that are common with both the conditions of Fibromyalgia and also M.E (Myalgic Encephalomyelitis). Also the Hypothalamus and Pituitary glands connect to the Thalamus which itself is responsible for the controlling of sensory stimulants as well as emotions and the sleep cycle; this explains why many Fibromyalgia and M.E (Myalgic Encephalomyelitis) sufferers often suffer from Insomnia and irregular sleep patterns. All of the aforementioned glands are interconnected and as a result of a sufferer contracting either Fibromyalgia or M.E (Myalgic Encephalomyelitis) they may also find that they suffer from either increased or decrease hormone levels. Such hormones as those responsible for growth which effect muscles and joints can have an adverse effect on the mobility of the sufferer. In addition such hormones as Substance P, Serotonin and Melatonin can be affected the results of which often are increased pain sensitivity and the feeling of pain in parts of the body where pain has not normally been encountered. The HPA (hypothalamus-pituitary-adrenal gland) triangle as it is known also causes much higher levels of stress in a sufferer of either Fibromyalgia or M.E (Myalgic Encephalomyelitis). The results of this are often varied but commonly include many of the problems we have already mentioned such as increased headaches, less sleep, problems with blood pressure and blood sugar levels. Commonly the treatments for such ailments - although neither Fibromyalgia nor M.E (Myalgic Encephalomyelitis) themselves can be cured - are the prescribing of anti-depressants which also double as muscle relaxants. Such medications can only be prescribed by your doctor but often provide the sufferer with a modicum of relief and at least go some way to helping to restore sleep patterns. Again it is important to note that the conditions of Fibromyalgia and M.E (Myalgic Encephalomyelitis) have no cures and that doctors are simply able to help treat the overlapping conditions with medications as and when they arise. As there would appear to be a vicious cycle of stress causing pain which in turn causes more pain the main aim of any medical treatment by your doctor will be to reduce stress and hopefully reduce pain as a direct result. As always it is imperative to discuss any concerns you may have with your doctor and to do so sooner rather than later. How Long Before You Know You Have Chronic Fibromyalgia? I am 56 and have suffered from joint and soft tissue pain since I was a child. Only last year was I eventually diagnosed with Fibromalgia. I walk with a stick and work full time but do have difficulties getting around, get very tired and suffer headaches and other constant fibromyalgiapain. I do get PIP and this helps pay for physio and the blue badge means I can use my own car for work and park close to areas where I carry out inspections. Without these I cannot work (I don't qualify for the higher level of PIP). I can't open jars, can't carry pots during cooking and can't do up my own shirts (buttons! ), and have to have slip on shoes/boots. I have good days and bad days but mostly bad to very bad. I know others with Fibromyalgia who have been refused PIP and found they didnt identify all the help and assistance they really and genuinely need. Do a good job of assessing yourself and highlighting your problems and needs, and you may do better at PIP, however, I know that some of the assessors are just adverse to paying out PIP to anyone, ALMOST as if their job depended on it. Please for your own well being remain positive and may every knock back make you more focused even more determined. Good luck everyone and don't let them grind you down. I have had Fibromyalgia since childhood.Offically diagnosed 3 or 4 years ago. I have undrgone 12 ish opperatons on my limbs. I received DLA some 13 years ago , but it was taken off me. Since then I have had to return to fulltime work. Can anyone tell me if it is worth me reapplying?? I also have mental health issues caused by my condition. How much support can I expect from my doctor??? I try not to take medication and try to use diet and exercise to control my condition. I am 60 and fining life a struggle at present. Can anyone help me??? I am 60 and think I have had fibromyalia since early childhood. My first leg opp was at 15, since then I have had 10 ish opperationson different parts of my body,limbsto mainly. I try not to take medication but find sleeping hard, Some years ago I got DLA but it was taken off me about 12 years ago??? I have had to go back to work vertually full time which is hard. Does anyone know if it is worth reapplying?? I try to control my condition with diet and exercise but fear this will go against me in a claim. How much support can I expect from my doctor?? I also have mental health issues. Please can anyone help me.